The IBIX® portable blasting units are the most premier, versatile and economical in the industry. Lightweight aluminum allows for easy portability for all types of locations. The IBIX-Pro25 features dual action wet and/or dry technology designed for hard to reach workspaces. 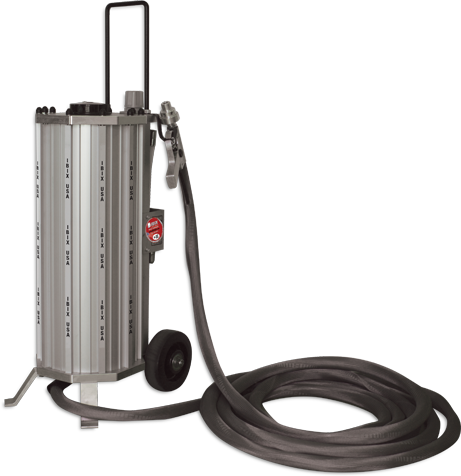 Perfect for a wide variety of applications, pre-paint preparation and surface cleaning, the IBIX-Pro25 delivers a perfectly consistent air and media flow and notably requires only one operator and can be run by most small compressors. They are user friendly and deliver a precise, consistent, even air and media flow for a smooth surface finish with very low air volume requirements. Minimal dusting protects the health and safety or the operator and environment. IBIX provides the ultimate power in a small package.